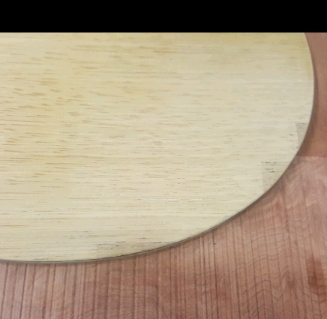 Quote Reply Topic: Fixing edges of a blade with wood filler? 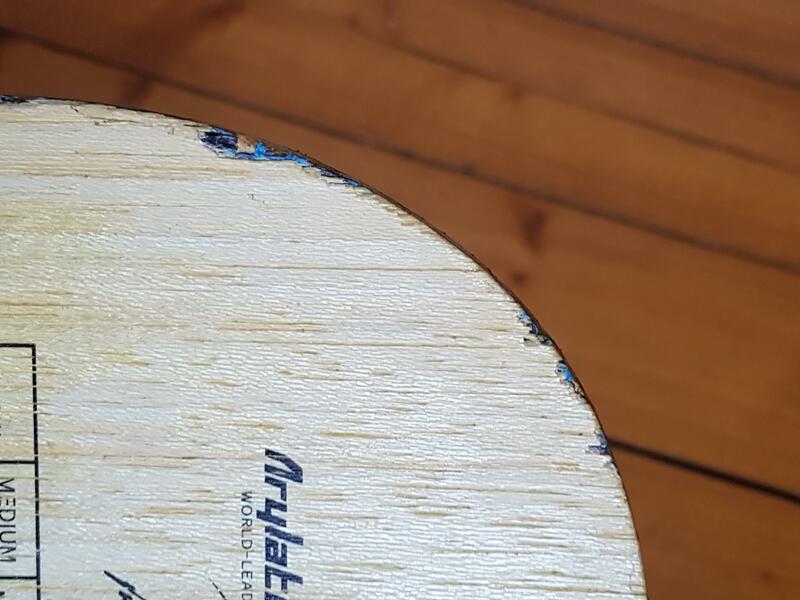 When antique blades are sold online and marked as 'professionally repaired', often these have white marks on them, as if the professional simply smeared the wood filler and sanded it after. I've got an old TBS blade that is slowly starting to show wear and tear and before I put new rubbers and edge tape on I would like to try and fix the scuffs around the edges. From online research I have deduced that I could simply smear wood filler over the damaged sections and then sand it down? Now, I am somewhat inexperienced with even the most basic woodworking and can't help but imagine that this might go horribly wrong and change the weight, balance and feel of the blade. And is there a specific wood filler and type of sandpaper that I should get if I go ahead and give the repairs a go? I'm pretty sure that wood filler will work when you "fill" in gap/hole with boundary to contain it within the target area. Fixing splintered edges is another ball game though. I have some success fixing my edges by gluing the broken pieces back in place. That, of course, won't work if your pieces were no longer around. All is not lost though, I remember quite awhile back this guy showing his blade with edges fixed up with epoxy. In those pictures the patch job looked nice and good. Following. My TBS looks like yours, but only mine is about 10 times worse. I'd use fine wood dust mixed with wood glue into a paste. Put a tiny drop of glue into the scuff, even it out and let it sit for a few seconds. Smear the mixture into the scuffed areas with a putty knife, build it up a little at a time to achieve the same level as the blade surface. You may want to let the first smear dry before putting on a second smear. Sand off the excess with a 220 grit sandpaper. When I bought my OSP blades, they were nice enough to include a section of veneers for patch work. you can literally cut out the damaged area and replace it with a strip of outer ply veneer using elmer's wood glue. much better that wood filler and sawdust. you might ask BTY if they can supply you with a small patch for a similar purpose? I think I'll try the fine wood shavings mixed with wood glue route, but will do a practice run on a blade to which I'm less emotionally attached. Btw Eric, I reckon Saigon is definitely the type of place where you can find someone who knows how to properly fix a blade. Try the shop on Turtle Lake in D1, I ought to be able to help. Why repair those edges outside of cosmetic effect? They do not affect playability. Hey Ryan, you are the best. Because it keeps deteriorating slowly and hopefully if I manage to plug the gaps it'll keep in the current condition for longer. I'm in the same situation. Is there anyone who makes blades that offers repair services? I emailed Charlie of Blades by Charlie, but no response. Not sure I'm up to the task to try it myself. Me too couldn't get a reply from Charlie. I think jpenmaster might be able to repair blades for a fee. Right, Ryan? I can fix some stuff. Depends on how bad it is. I wonder if a mail order blade fixing service is viable? For some people the cost would definitely be worth it if the blade is an old favourite with sentimental value. Could potentially be an interesting business idea. But then I think that the entire world is as ping pong enthusiastic as myself.